Search Engine Optimization is a process to optimize your website for better visibility and ranking on search engine. If your website is highly search optimized then it will easily rank higher in the search results and thereby you will drive a massive amount of traffic to your blog. But, a question may arise, How to optimize a website for SEO? Actually, Search Engine Optimization is not an easy job. It involves lots of complicated factors in it. There are certain sets of rules that need to be followed while writing the blog post. These sets of rules are known as On-Page Optimization techniques. Next, for a beginner, it is very difficult to master these techniques. Hence, they find difficulties in ranking their website on the first page of Google. But, does it mean, a beginner can’t build a successful blog? Of course, Not. For this problem, SEO plugin is created. A WordPress SEO plugin should make it easy for beginners to setup SEO best practices without any special skills. For example, Just check out the below snapshot of Yoast SEO plugin. The below snapshot is self-explanatory. The plugin is considering the SEO factors automatically based on your content. Hence, it is very important to install the SEO plugin on your website or blog. This plugin is a must for creating a successful blog. Trust me, if you are a beginner and not aware of the term ‘Search Engine Optimization’ then this SEO plugin is must for your site. Next, there are many SEO plugins available online. Hence, a question may arise? Which one is the best SEO plugin for WordPress? To get this answer, please read below. Hereby, in this article, we have list out the top 5 best seo plugins for wordpress available for free. Trust me, you search will end at this list. This list will definetly share the best Seo plugin for wordpress. So, What are we waiting for? Let’s start with the list below. The first plugin in the list is Yoast SEO. This is one of the most downloaded plugin available on WordPress. Till date, more than 5 millions bloggers has already downloaed this plugin for their blog. Infact, we are also using this plugin on our blog. Beside On Page Optimization techniques it also includes features like Meta Tags for WordPress and each blog posts, Generating Sitemap, Adding No-Index WordPress to categories and tags etc. If you are new to Search Engine Optimization, then add this plugin to your site and sit back to see the magic. This plugin is available in both free and prenium version. The basic features are available for free and where the advance features are only available in the paid and pro version. Once Installed, the only thing that you needs to ensure is to follow the guidelines given on the screen and ensure the plugin is indicating Green color on it. For more information on how to use or configure the Yoast Plugin, please refer the below article. 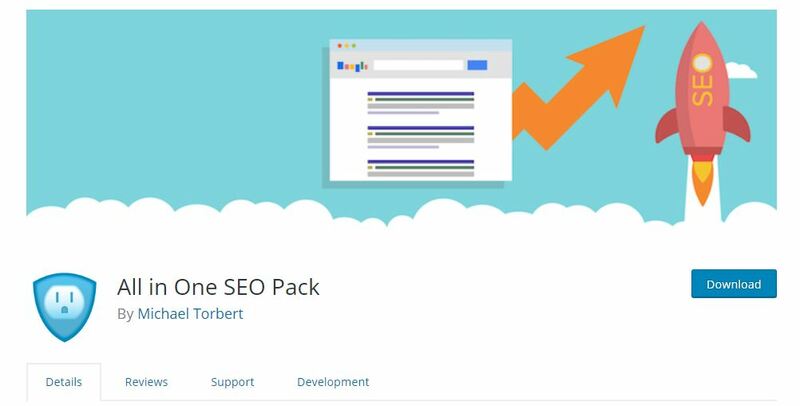 The next plugin in the list is All in One SEO Pack. This is the second best plugin with more than 2 millions download. Like Yoast, this plugin is also available in both free as well paid version also. The basic features for beginner blogger is available for free whereas the advance features are only available in pro version. When comparing to Yoast SEO plugin, the All In One SEO Pack is quite similar to it. The only differnce between All In One and Yoast SEO plugin is- Importing data from Google Search Console or Webmaster and Breadcrumb Navigation is available in Yoast whereas they are not available in All In one SEO pack. Apart from this, the both the plugin are similar in nature. Whether you install Yoast SEO or All In One SEO Pack, it will not make any difference. Note: We strongly suggest to use any one of the above mentioned plugins. The above mentioned plugins are the best SEO plugins for WordPress. Next, due to any reason if you can’t use the above tools then please read below for more best SEO plugins for wordpress blog. 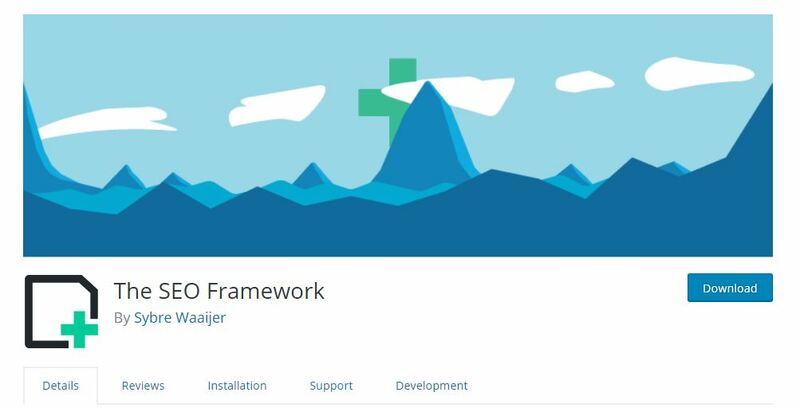 The third plugin in the list is SEO Framework. With more than 90000 installation, this plugin is from one of the most downloaded SEO plugin on WordPress. SEO Framework will work best if you are looking for the complete unbranded SEO plugin for your website. This plugin does not use any kind of branding within the wordpress and aside by plugin installtion page. Yes, this plugin is free of any kind of advertisement and branding banners. While using the plugin, you will not find any kind of distraction on your screen. Next, this plugin is available for free and include all the required features inbuilt in it. The next plugin in the list is SEO Press. This is the simple, fast and most powerful plugin for the wordpress blog. With more than 50000 installation, this plugin from top five most downloaded SEO plugin on WordPress. Like other SEO plugins, this plugin is also available in both free and paid version. Of course the basic features are available in the free version whereas the advance features are available in pro version only. The last but not the least SEO plugin in the list is Rank Math. With more than 30000 installation, this plugin has also made its place in the list of best SEO plugins for wordpress. Unlike other SEO plugins, Rank Math also includes many unique features ( which are not available in other seo plugins) in it. For example, Google Rich Snippets, Kewyord Ranking, SEO Audit and test etc. 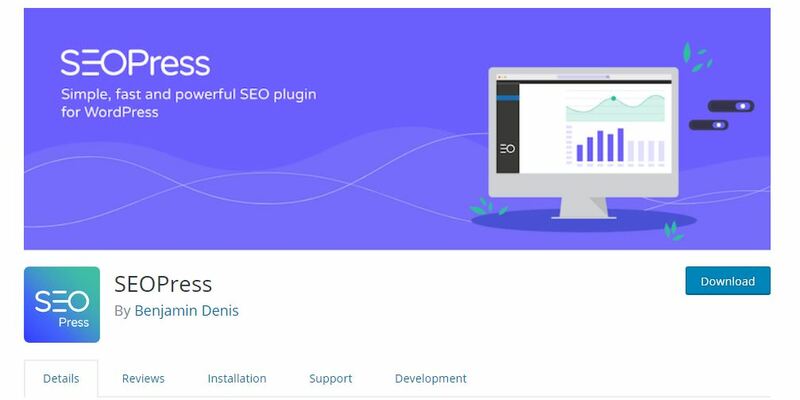 This plugin will work best if you do not wants to installed seprate plugin for SEO, tracking keywords and Installing schema on your wordpress blog. This single plugin has all these things in built in it. It mean, install this one plugin and it will take care of everything which is required to build successful blog or site. When its comes to selecting the best SEO plugin for WordPress blog, Yoast and All In One Pack will be the best choice. Trust me, if you have installed Yoast or All In One Pack then there will be no need of installing any other SEO plugin on your site. We strongly recommend Yoast and All In one for your wordpress blog. At last, if you find any difficulties in selecting the best SEO plugins for WordPress then feel free to contact us or leave a reply in below comment box. We will be happy to help you. you shared some great seo plugin. which must be used by everyone who use to do seo. I will follow your plugins. this is really helpful for me. thanx for sharing this information.